Charlie’s a vlogger and actress promoting her first movie at SupaCon, and this is her chance to show fans she’s over her public breakup with co-star Reese Ryan. When internet-famous cool-girl actress Alyssa Huntington arrives, it seems Charlie’s long-time crush on her isn’t as one-sided as she thought. Taylor’s brain is wired differently, making her fear change. And there’s one thing in her life she knows will never change: her friendship with her best guy friend Jamie―no matter how much she may secretly want it to. But when she hears about a fan contest for her favorite fandom, she starts to rethink her rules on playing it safe. I loved this book. I’ve never been to a con, I’ve never cosplayed, but I’ve been involved in fandoms for years, and I love love LOVED the portrayal of that in this book. Jen never portrayed the characters interests as stupid or childish, which in the real world I feel ends up happening a lot–at least in my experience. Reading a lot or geeking out over books or movies isn’t considered cool. But in this novel, it’s normal. Right off the bat, all of the characters were extremely relatable. Jen creates such strong female characters in Charlie, Taylor, and Alyssa. They’re flawed, but the best and most memorable characters are. The story wouldn’t feel as authentic if they were perfect, because people aren’t. This is not to say that a lot of young adult contemporary female characters aren’t strong, but this characteristic stood out to me while I was reading. The girls are always supportive of one another, and even when someone tries to knock them down, they stay confident in who they are. As a teenage girl, it’s important to read books like this. None of the love interests existed solely to be love interests; each character, love interest or not, served a greater purpose, which as a reader I take note of and appreciate. Even characters who weren’t especially likable or kind were still multi-faceted and had depth. 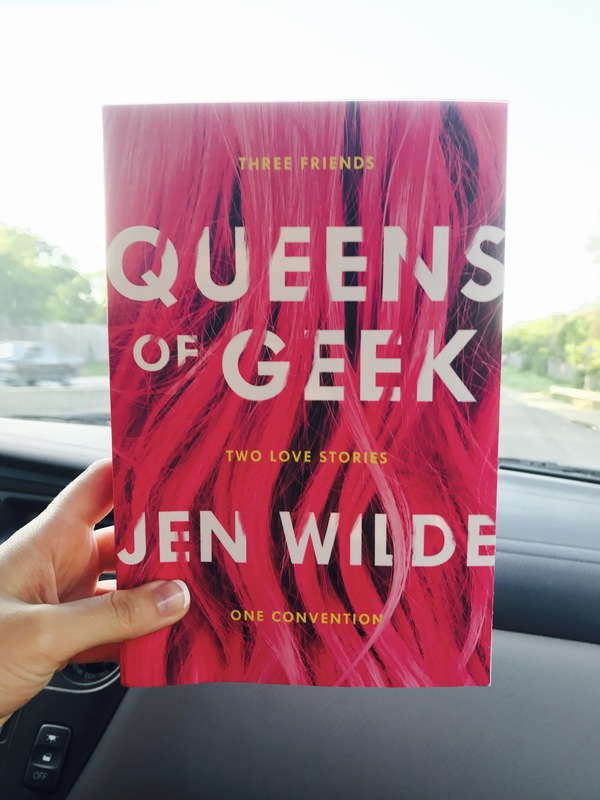 Jen’s writing style is easy and enjoyable to read. I read this book really fast–in less than a day. Everything flowed together nicely, and she has some really great and inspiring quotes spread out within the book as well. One thing that is very prevalent in this book is diversity. And it’s totally awesome. Not that I never see diversity, but thinking back on other books I’ve read, I feel like I haven’t seen it as much as I think I should have with reading so much. I love Charlie. She’s such a strong character, and I love how her past (and future!) relationships are portrayed. I would delve into that more, but since this is a spoiler free review, you’ll have to read the book to see what I’m talking about! I could give y’all a little more insight but I’m afraid I’ll give too much away. The fact that she is into vlogging and acting related to me, and her overall personality rocks. She’s definitely somebody I’d want to be friends with! I also liked how Jen portrayed Charlie’s bisexuality. It wasn’t something that defined Charlie’s character; not a point that was forcibly added just to say the book was LGBTQ+ friendly. It was just apart of who Charlie was, and I appreciated that. I connected with Taylor as well. While I know people who are, I’m not on the spectrum and I don’t have an anxiety disorder. I wanted to make that clear; not because there’s anything wrong with either of those things! That’s not what I’m saying. I’m trying to say that even though I am not directly affected by that, I can still relate to Taylor immensely. One thing I can directly relate to is her anxiety about going to college. Granted, I’m not moving to another country for it, but for me any sort of change is terrifying, so as much as I don’t want to be in high school anymore (can’t you all tell how much I’ve loved high school….) I’m scared to go to college too. I mean, it’s exciting, but new people, new places, new classes? It’s really intimidating. Taylor was relatable, and inspiring. As reader, it’s much more fun to read about girls that I can relate to and aren’t perfect, physically or otherwise, but are still beautiful and gorgeous people. Jamie was so sweet. Not only does he love books (basically any fangirl’s dream quality in a guy, tbh) but he’s so supportive of his friends and is just an all around nice human being. Alyssa doesn’t blend into the background either. Like Taylor and Charlie, she’s strong, dynamic, and confident — everything one can hope for in an awesome female character. Overall, this book was an amazing read, which strong, diverse, complex characters who I would love to be friends with in real life. Anyone who has ever been a part of a fandom and experienced the sense of family that comes along with that will devour this book just as I did. If you haven’t already, please do yourself a favor and read this book! Connect with the author! 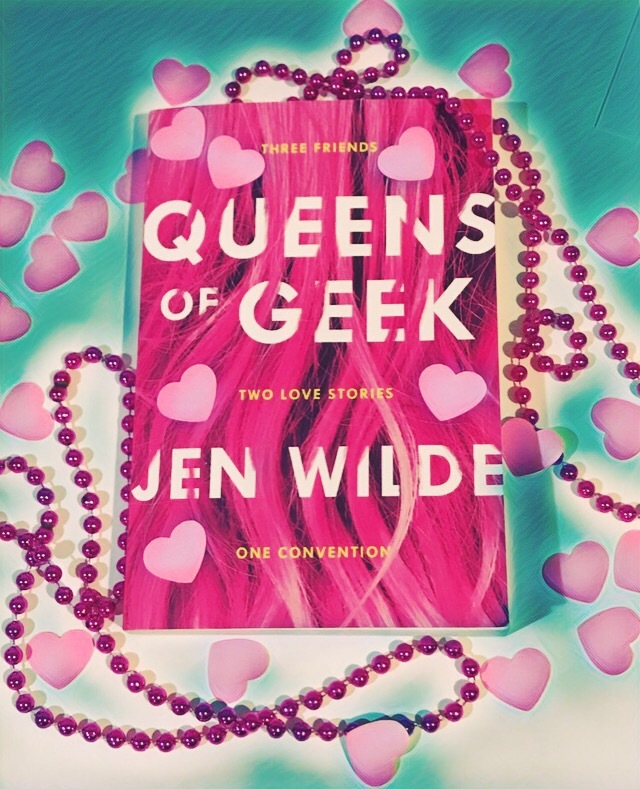 You can follow Jen Wilde on twitter and Instagram at @jenmariewilde!